We interview Elena Sainz, diabetes patient from Mexico, who is dedicated to diabetes education, on her experience as a patient and how pharma could improve the patient experience. Elena Sainz is a diabetes patient from Mexico and the latest patient to share her perspective with us for our patient perspective series. Here she describes how her journey led her from being a “good, obedient and silent” patient to an empowered one. Dedicated to diabetes education, Elena Sainz explains to us why it is so important for the individuals from within pharma to recognise patients as their team players, and as individuals with a host of skills and knowledge to offer. RA: Elena, thank you for agreeing to take part in this interview, could you please start by telling me about your background and experience as a patient. ES: I was diagnosed with type 1 diabetes at 14 years old. I studied a degree in Industrial Design, in México, and we had to conduct 400 hours of community service to achieve the degree. I chose to work at Asociación Mexicana de Diabetes. I learned there that my treatment at the time wasn’t sufficient to have good control of my glucose levels. I went from being a “good, obedient and silent” patient to an empowered one. I finally studied my first Diabetes Educator course at Federación Mexicana de Diabetes in 2008, and found my place in the world! – “I will dedicate myself to diabetes education”, I said. Sadly (or not) the institution required a Healthcare degree in order to award me the Certificate, so I only received a letter of attendance – but this did not discourage me. Sometimes I think that hearing “you can’t be a diabetes educator” was the best fuel to work harder in diabetes education. Since then, I have worked as editorial coordinator of the journal “Diabetes Hoy”, and as a professor in other diabetes education courses, such as UIA and REMEDI, where, in 2011 I had the opportunity to earn a diploma for the second time, but this time, credited. Last year I finished a master’s degree in Education and New Technologies with a thesis on social media and diabetes education. I’m now waiting for the results of a grant to study a doctorate in Education (fingers crossed). In 2008 I decided to venture out as a freelancer with a project – EDUCADIES – which integrates my passion for design and education, offering diabetes education sessions and the chance to develop educational health materials. RA: How did you become so heavily involved with social media? ES: After joining Estudiabetes.org online community, (now, 17,000 members!) I became more and more active answering forum questions and sharing content. I was then invited by Manny Hernandez (DHF co-founder) to work as a volunteer. That was the start of my continuous learning path, exploring the constructive power of social media. I later became a member of an interdisciplinary Social Media Research Group at Universidad Panamericana, where I work as professor in this group. I learnt about twitter and healthcare tweetchats and I began to participate in #HCSMLA. Social media charmed my natural curiosity for the unexplored possibilities to solve problems. RA: How does social media help you as a patient? ES: Social media has given me the opportunity to connect with my peers, not only those with diabetes but also those who choose to work to improve the lives of those with diabetes, no matter where in the world they live. This online support is the best you can find next to your family, doctors and close friends. Connecting with others with diabetes is connecting with others who can really understand all the highs and lows that living with diabetes actually means. RA: What do you see to be the biggest challenge for new patients diagnosed with diabetes? ES: Finding the right empowering environment. When newly diagnosed with diabetes (or parent of a child who is diagnosed) the patient is in charge of his own decisions but needs the information, understanding and support during the mourning process to recognise that. Sometimes all the instructions “ you are diabetic, you should do this that way”, “you shouldn’t do that” can be more difficult that diabetes itself. A better approach would be language such as “Diabetes is…, you are not “diabetic” you “live with diabetes” and your options are these … you could decide …, we can help you …”. RA: In what ways have you engaged with pharma? ES: I have participated in focus groups prior to the launch of new products. Pharma can sometimes be open and totally respectful of patients’ opinion, but other times I have seen patient capacities being underestimated. 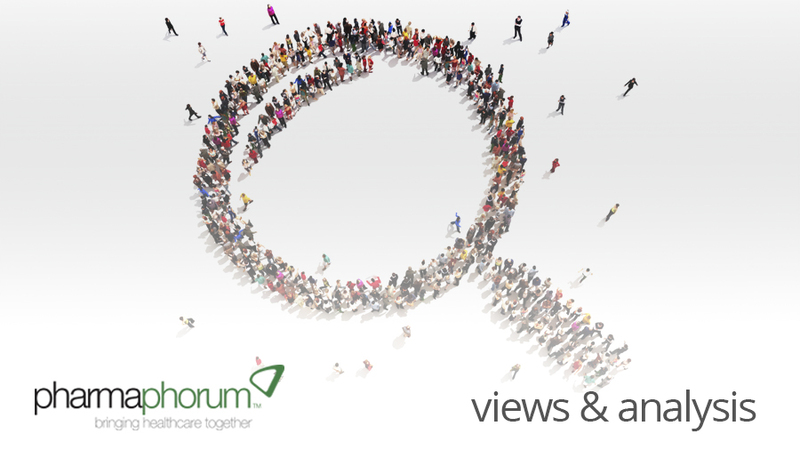 RA: Do you think there are ways in which pharma could better interact with patient groups? ES: Absolutely, pharma is part of our team. We need pharma’s investment, investigation and development of new treatments and a cure if possible. Pharma should see patients more as team workers rather than just study them as the final consumer of a product. Social media could be a good communication and network channel for pharma to connect with patients. RA: What was your impression of the pharma industry before your illness and how has that perception changed? ES: Before I was diagnosed, I saw pharma as just another product company. I now see that there are so many people working within pharma with a genuine interest in improving people’s lives. They work very hard to put their knowledge and skills to use for the good of others. As with social media networks, it’s not just the technology – there is a human being besides every computer or mobile phone. RA: In what ways are the needs of patients with diabetes currently not being met and in what ways can pharma help with this? ES: There are so many great tools that make our life easier thanks to pharma’s research and development, but sometimes we only read about them because they are not available in our countries or they are so expensive that not everyone can afford them. In an ideal world, these advantages would be cheaper and reach more people. It would be good if pharma, not just as a business, but individuals who work in pharma who possess valuable skills and knowledge, could see patients also as people with so many different and valuable skills and knowledge too!! Most pharma companies in Latin America still have restricted politics around social media. Seize the potential of social media (with all the ethics and legal statements of course) as a good horizontal communication and networking channel. RA: Elena, thank you for your insights today. Elena Sainz can be found on Twitter (@educadies), on facebook or via her webpage:- www.educadies.com. How can we encourage pharma to view patients as team workers?